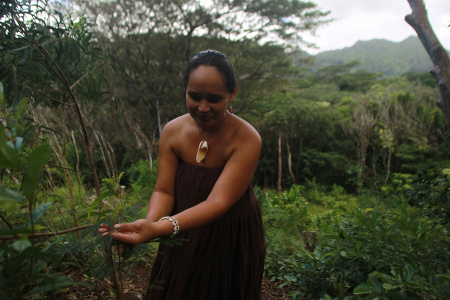 At Ho'oulu 'ina, a 100-acre nature preserve managed by Kkua Kalihi Valley Comprehensive Family Services in Honolulu, Puni Freitas points to new koa tree growth as part of the organizations reforestation efforts. KKV sees the 'ina as a vital member of the community, and offers opportunities for community gardening, reforestation, environmental education and the preservation of land-based cultural knowledge at the preserve. Hooulu ina is flourishing through the enthusiasm and hard work of its staff and thousands of community volunteers. KKV views this work as reciprocal. As the land is restored to health and productivity, it helps to create a healthy, resilient Kalihi Valley community. 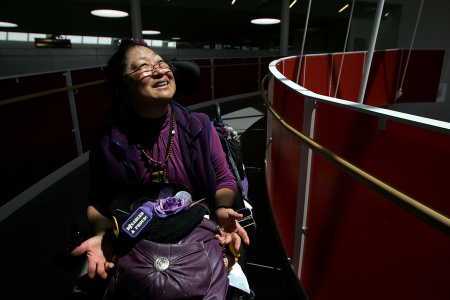 Stephanie Miyashiro, navigates her chair on a ramp on the Ed Roberts Campus in Berkeley, California. The Campus houses the Center for Independent Living and is designed to accommodate persons with disabilities as equally as those without. Stephanie is a community advocate and member of Organized by Communities United in Defense of Olmstead (CUIDO) Communities United In Defense of Olmstead -- Dedicated to allowing people with disabilities to stay in their homes and communities. CUIDO is a new group organized to fight the proposed budget cuts that threaten to institutionalize people with disabilities and seniors against their will, in violation of Olmstead, a Supreme Court ruling on the Americans with Disabilities Act (ADA) stating that unnecessary segregation of individuals with disabilities in institutions constitutes discrimination based on disability. 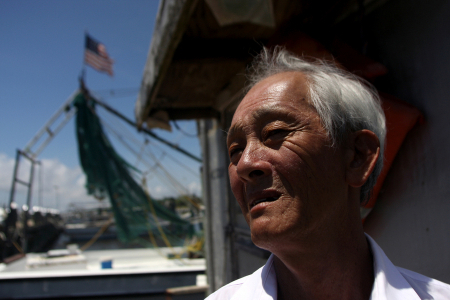 Bien Do, a shrimper who has made his living fishing in the Gulf for 30 years and who was hard hit by the BP oil spill, is shown on one of the two boats he owns in Pass Christian, Mississippi. Citizenship class attendee at the Lao Assistance Center, in Minneapolis. 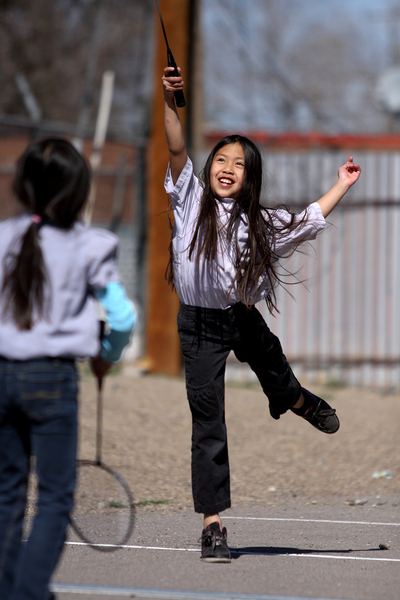 A young girl plays with friends during youth group activities at a Vietnamese temple in Albuquerque, New Mexico. 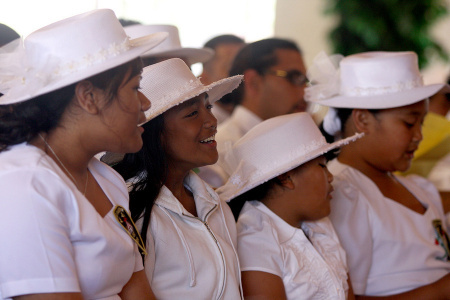 Young girls take part in a Samoan Church service in Carson, California. More than 20,000 Samoans have settled in the Los Angeles area. The Samoan National Nurses Association (SNNA) was established as a non-profit organization in order to serve the Pacific Islander Community to provide education, resources, guidance and services aimed at promoting health and preventing diseases that disproportionately affect this group, such as diabetes, heart disease, and certain kinds of cancer. With funding from HTA, the SNNA has collaborated with faith-based organizations in the Samoan community, working with pastors, community leaders, and others to provide health information. This includes encouraging regular check-ups and screening for chronic conditions, as well as educating about access to health insurance, which one in four Native Hawaiians and Pacific Islanders under the age of 65 lacks. 11-year-old Emily Morgan Tracey at prayer during services. 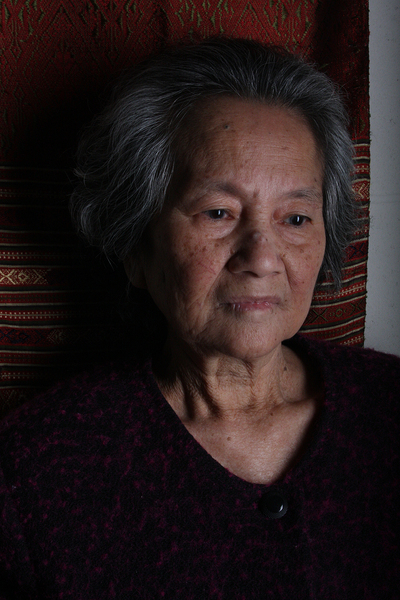 About her experiences as a Vietnamese American, she says, "It can be hard to be Asian and American because sometimes people tease you. 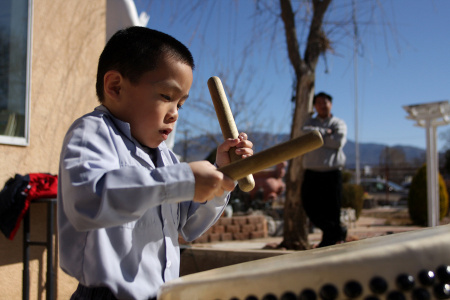 But believe in who you are and dont let anyone or anything stop you."
A young boy practices his drumming following youth services at the Van Hanh Buddhist Center in Albuquerque. 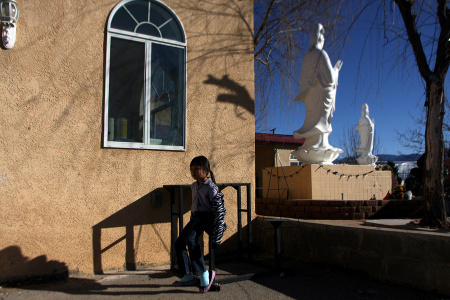 A young girl following youth services at the Van Hanh Buddhist Center in Albuquerque. 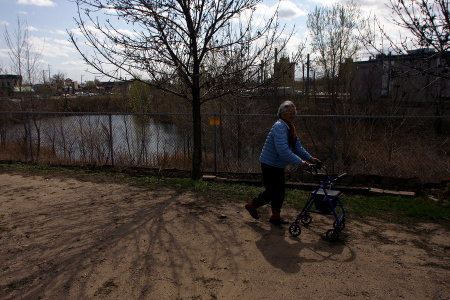 A resident strolls in the Community Peace Garden administered by Korean Social Service Center near the Riverside Plaza Complex in Minneapolis, where many Korean elders live. The garden provides access to the outdoors, nature, and exercise. Physicians working with the Center report a health benefit from time spent in the garden. Gardening is an important part of local culture, health, and economy for Vietnamese in New Orleans East, the first of whom arrived in the area in 1975. Among their first activities was establishing home-based gardens to grow traditional fruits and vegetables unavailable locally at the time. As practiced in Vietnam, surplus from the gardens is brought to a community-created open market for sale to the community and tourists. 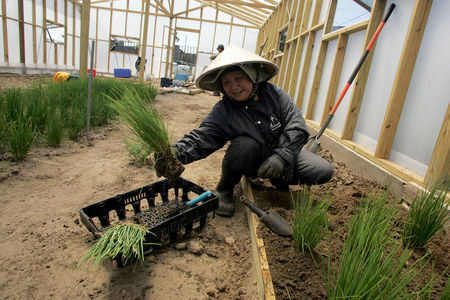 Above Xuyen Thi Pham works on an urban farm located in New Orleans East. The farm exemplifies the sustainable agriculture practices within the Vietnamese Community, which is also supported by MQVN through various programs. Teenagers getting ready to perform traditional Cambodian dances during a New Years celebration event at the Socio-Economic Development Center (SEDC) for Southeast Asians in Providence, Rhode Island. Providence is home to a population of approximately 20,000 people originally from Cambodia, Laos, Thailand, Vietnam, and other countries of Southeast Asia. Since 1987 SEDC has worked to mobilize and to educate the public in Rhode Island on health issues facing the community, including the high numbers of Southeast Asians without health insurance. Utilizing an HTA grant, SEDC is helping to close that gap by assisting community members in applying for insurance under existing programs or with signing up for coverage through the Affordable Care Act. 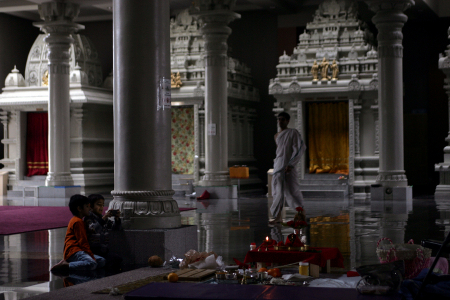 Children play with devices following services at the Hindu Society of Minneapolis in Maple Grove, Minnesota. 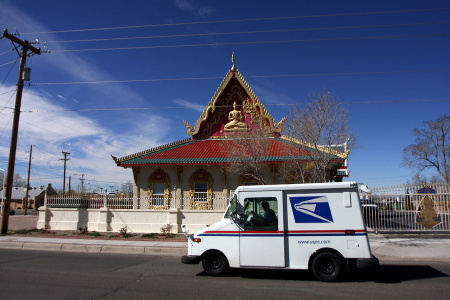 It is the largest Hindu temple in North America. 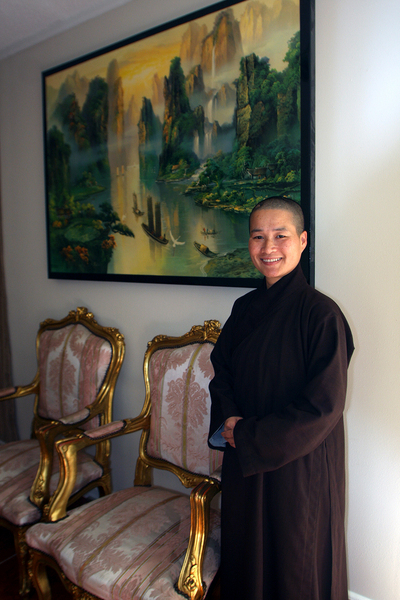 Lisa Le, a monk at the Van Hanh Buddhist Center near Mary Queen of Vietnam-Community Development Corporation (MQVN-CDC), an HTA grantee Lisa Le, a monk at the Van Hanh Buddhist Center near Mary Queen of Vietnam-Community Development Corporation (MQVN-CDC), a Community Based Organization in New Orleans East. 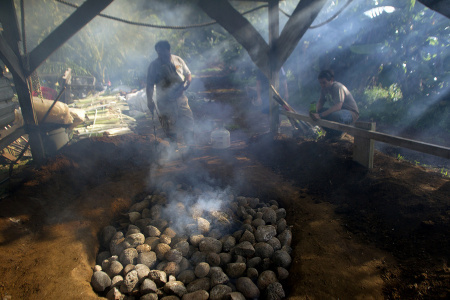 A fire tender finishes lighting an imu, a traditional Hawaiian oven of wood and stones in an earthen pit that takes community members all day to prepare. When ready, food is placed inside the imu and cooked overnight. In Kokua Kalihi Valleys Ehuola Program, children and their families participate in the preparation of the imu to better understand the cultural relationship between health, food, and the land, and to reconnect to important cultural practices. 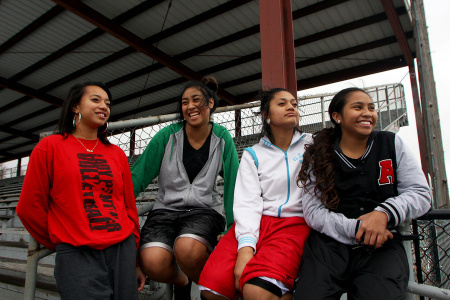 Teenage girls of Tongan descent at a local rugby stadium in Salt Lake City. One in every four Tongans living in the United States resides in Utah and the state ranks secondbehind California, but ahead of Hawaiifor total population of Tongans. The National Tongan American Society (NTAS) was originally founded in 1995 to help 80 people successfully obtain their citizenship. NTAS now touches the lives of thousands of Tongans and other Pacific Islanders through its various programs. It also seeks to encourage ofa faka-k ainga (Tongan for extended family love and care), which crosses ethnic, national origin, gender, and religious boundaries. M.K. 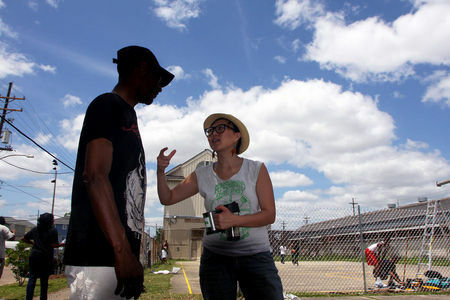 Nguyen, Deputy Director of VAYLA assists in the taking back and restoration of a park in Central City, New Orleans. Within hours, a diverse coalition of community members painted new lines on what had been a basketball court, trees were planted, a new backboard installed and a new chain link fence put up, thus making the playground area usable once more. 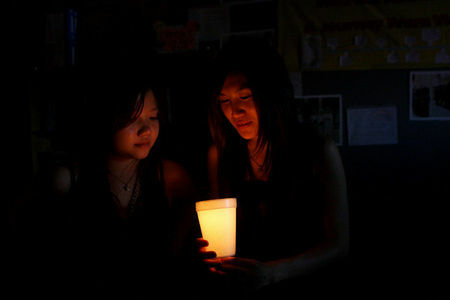 Candle light vigil at VAYLA (Vietnamese American Young Leaders Association of New Orleans) during ceremony to commemorate the fall of Saigon.